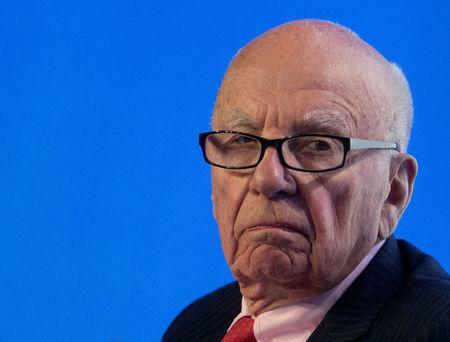 NEW YORK (Reuters) - Rupert Murdoch telephoned AT&T Inc <T.N> Chief Executive Randall Stephenson twice in the last six months and talked about cable network CNN, sources briefed on the matter told Reuters on Friday. Another source said Murdoch had "zero interest" in owning CNN. Representatives of Twenty-First Century Fox, AT&T and Time Warner, CNN's parent, declined comment. CNN has become the focal point in antitrust approval of AT&T's $85.4 billion deal to buy Time Warner Inc <TWX.N>, hatched in October 2016. U.S. Department of Justice staff have recommended that AT&T sell either its DirecTV unit or Time Warner's Turner Broadcasting unit - which includes CNN - a government official told Reuters on Thursday, in order to gain antitrust approval. The fate of CNN has broader political significance. 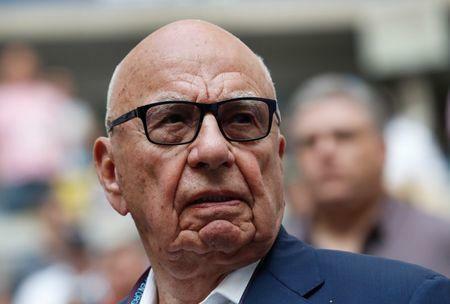 U.S. President Donald Trump has repeatedly attacked the network for its coverage of his campaign and his administration, while he has publicly praised Murdoch's Fox News. In the run-up to last year's election he vowed that as president his Justice Department would block AT&T's purchase of Time Warner. He has not commented on the transaction since taking office in January. Trump's comments have provoked concern that he may improperly influence the U.S. Department of Justice to block the deal. The White House has said Trump has not spoken to the attorney general about the matter. Nevertheless, a group of eight Democratic U.S. senators on Friday wrote to Makan Delrahim, head of the Justice Department's antitrust division, urging the department "to oppose any attempt by the White House to interfere with antitrust law enforcement decisions, particularly for political reasons." "I’ve got to keep my nose down and be a law enforcer and do what’s good and what I’ve committed to doing to the American people," said Delrahim. But he appeared to voice doubts about AT&T's reasoning that the purchase of Time Warner would not result in a company with too much power because the combined company would have to compete with powerful new online rivals such as Amazon.com Inc <AMZN.O>, Netflix Inc <NFLX.O> and Facebook Inc <FB.O>. Delrahim referred to a comment by former President Ronald Reagan that "the nine most terrifying words in the English language are: I'm from the government and I'm here to help." "I’d say you should be equally terrified when someone in an incumbent company, whatever industry, comes to you and says I’m here to help you against the evils of Netflix, Amazon, Google and Facebook," said Delrahim. "Some of these pro-competitive comments and justifications remind me of that quote strongly." His Twenty-First Century Fox made an $80 billion offer for Time Warner in 2014 but abandoned the plan in the face of Time Warner's resistance. At that time, Fox had planned to divest CNN - which competes with Fox News - in order to avoid antitrust issues. "I have been called and asked if I would sell CNN by numerous people," Stephenson told the New York Times DealBook conference on Thursday. But he added: "Selling CNN makes no sense." Twenty-First Century Fox would sell its stake in European satellite broadcaster Sky Plc <SKYB.L> in a deal with Disney, according to CNBC's report. Fox is trying to buy the 61 percent of Sky it does not already own but the bid is strongly opposed by some lawmakers and has been subject to lengthy regulatory scrutiny.